Know what you want? Chances are we’ve got it – contact us today! SMART is changing the world by changing the way knowledge can be shared. Our software and hardware solutions empower everyone — from primary school students to innovators in Fortune 500 companies — to come together to explore and expand on ideas, bringing them to life without geographical or technological limitations. 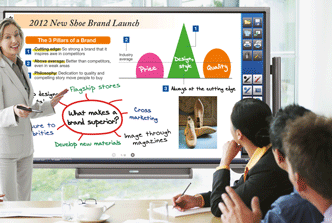 Choose unrivaled interactive displays that bring devices, software and content together. Looking for Prysm products? Contact us today at info@solutionzinc.com! Seamlessly connect devices and video platforms through the cloud for videoconferencing on any device. Put video at the heart of every conversation. Videxio was born on the belief that when it comes to business communication, it truly is better to be seen! Videxio's mission is to make business quality video communication available to all - independent of location, budget or technical knowledge. That meant making it easy to get started, making it simple to use across devices and platforms, and making it affordable, all the while ensuring the quality and security of the video connection. Looking for more information on Videxio? Contact us today at info@solutionzinc.com! Prysm is passionate about creating products that help people work smarter — both together and alone, from work and from home, on any display or device. Today’s employee works everywhere — at home, on the road, and in the air. Every meeting includes remote participants, and the modern enterprise depends on this global workforce to be competitive. That’s why Silicon Valley-based Prysm created its enterprise-grade digital workplace platform. The Prysm platform was purpose-built for companies that rely on the collaboration of an international workforce for innovation, but are faced with the substantial challenges of effectively leveraging those global teams. It combines content, applications, and communications tools together into an interactive, cloud-based digital workplace accessible from conference-room displays, desktop and laptop computers, and mobile devices. NEC Display Solutions offer the breadth of product, global reach, and eco partners to provide comprehensive solutions no other vendor today can offer. NEC holds a leading position in the display market and is a complete display solutions company. Look to NEC Display Solutions for more efficiency and individual productivity, for the best return on investment (ROI) and investment protection. Whatever your needs are, NEC Display Solutions has the right product. No other vendor today can offer such a comprehensive and solutions-oriented portfolio as NEC Display Solutions has today. NEC Display Solutions brings together experts in the industry and offers a single point of contact to provide total display solutions for a variety of vertical markets. NEC Display Solutions offer the personal touch of a small business but with global outreach capabilities. Looking for NEC products? Contact us today at info@solutionzinc.com! Bosch offers a complete range of safety, security and communication products and systems. Bosch offers a broad portfolio of products and systems for communications, video surveillance, access control, and intrusion and fire detection are used by major schools and universities, government agencies, retail stores, sports and entertainment facilities, casinos, and in many other commercial and industrial environments throughout the world. 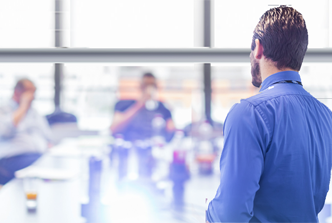 Bosch has a significant investment in research and development that enables them to regularly update existing products and introduce new technologies. And, while technological innovation is important, Bosch ensures that new product development addresses all the concerns paramount in the world of communications, security and life safety today, including performance, quality, and ease of installation, maintenance and use. Bosch is also committed to upholding the highest standards for service. Our goal is total customer satisfaction through products, service and support. Bosch associates work closely with customers to help them win new business. 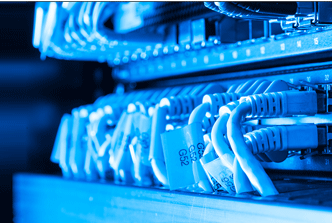 Technical support services are easily accessible via phone, email and the Internet for installers working to develop and maintain high-quality security and communications systems, and we provide extensive training to make sure our customers understand how to get the most from their systems. For more than 125 years, the Bosch name has stood for quality and reliability. We are there for our customers during all crucial phases of a project: before, during and after the sale. Looking for Bosch products? Contact us today at info@solutionzinc.com! StarLeaf® is a service provider and manufacturer of video conferencing services and a comprehensive range of video endpoints for meeting rooms, desktops and mobility. StarLeaf operates a robust global network, with multiple points of presence that are strategically located worldwide. IT'S ALWAYS A BREEZE WITH STARLEAF Transform any meeting space into a video conferencing room with room solutions – no training needed! Connect any endpoint to Prime Call Cloud UC, powered by StarLeaf, for seamless interoperability. Transform your meeting spaces into video environments that work seamlessly. Try for yourself – sign up for a free trial! Take your existing desktops to the next level with the PT Mini 3020. It's the easiest way to scale video! Integrated meeting room systems designed and optimized for native interoperability with Skype for Business environments. StarLeaf Encore is a recording cloud service that needs no additional equipment or infrastructure. 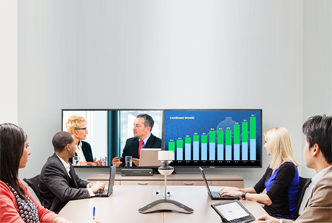 TANDBERG, powered by Cisco, delivers the most comprehensive selection of video conferencing and telepresence systems — including infrastructure and MCUs. 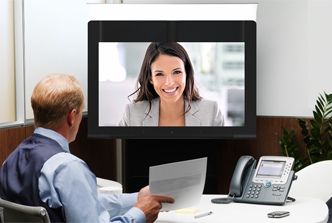 SERVICES AND SOLUTIONS With TANDBERG EX90 transforms a traditional desk video environment into a personal telepresence and collaboration space. TANDBERG Content Server (TCS) enables you to share information and enhance communication by recording video meetings and access presentations. With TANDBERG immersive telepresence video collaboration systems, conducting meetings with colleagues worldwide, is easier and more lifelike than ever. TANDBERG Video Communication Server (VCS) bridges the gap between SIP and H.323 and delivers rich video-enabled collaboration in and outside the enterprise network. Collaborate in HD video with TANDBERG Advanced Media Gateway Series that will help you increase the value of your existing video and collaboration infrastructure. Cisco acquired TANDBERG in 2010. Check out the latest innovations from the largest video conferencing and telepresence provider in the industry. Biamp Systems designs and manufactures audio systems that deliver exceptional audio to rooms of every shape and size. Quality sound is a key component of effective communication and efficient collaboration and Biamp Systems has you covered. From analog mixers to state-of-the-art networked media systems, Biamp provides audio solutions for spaces big and small. Classrooms, boardrooms, courtrooms--you name the place, Biamp’s innovations are there to manage and enhance the sounds that make collaboration and communication possible. With a vertically integrated organization that handles everything from initial design to manufacturing, Biamp oversees every stage of the development process to ensure delivery of products that are guaranteed to make everything loud and clear. Looking for Biamp products? Contact us today at info@solutionzinc.com! Chief provides best in class av integration equipment that give professional installers a leg up. With state-of-the-art mount and rack solutions that can be integrated into the work environment with ease. Chief, a division of Milestone AV Technologies, was founded in 1978, and they were innovators right out of the gate. They produced the original projector mount roll, pitch and yaw adjustments, and in the thirty-seven years since, they have become a leader in the AV industry, with hundreds of awards and patented designs to their credit. Of course, the world has come a long way since the days of slides and projectors, but Chief is still there on the front lines, developing new mount and rack solutions for constantly evolving AV tech. Chief’s products are not only easy to install and maintain--they also comply with international environmental regulations, as Chief is committed to an ethic of design and manufacturing that minimizes waste, in an effort to ensure that the world of tomorrow is just as promising as the world of today. Looking for Chief products? Contact us today at info@solutionzinc.com! You can fill your meeting room with the biggest screens and the most powerful speakers known to humankind, but those screens won’t dazzle and those speakers won’t sing without cables to carry your media to and fro. That’s where C2G comes in. 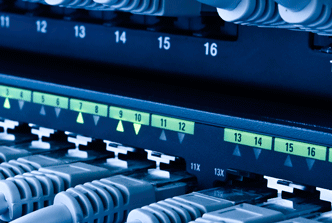 Founded in 1984, C2G is home to over 6,000 connectivity products across 75 lines. No matter your configuration, C2G has the cables, adapters, converters and splitters necessary for seamless communication between machines, and the tools you’ll need to keep your multimedia array neat and tidy. With their lifetime warranty on all cables, C2G promises connectivity solutions that will last as long as you need them to. Looking for C2G products? Contact us today at info@solutionzinc.com! 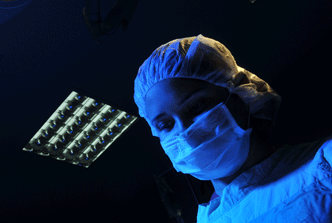 Globalmed provides leading Telemedicine technology including software, hardware, and equipment. There is nothing more essential than the basic human need for thorough and reliable medical care. GlobalMed’s telemedicine innovations help medical professionals of all stripes give their patients the care they deserve. In an effort to provide the best and most reliable telemedicine software and hardware, the developers and engineers at GlobalMed maintain close working relationships with professionals in the fields of science and medicine. As medical and health industries evolve, so do the solutions offered by GlobalMed, which prides itself on pioneering medical technologies that are not only dependable and accessible but cost-effective as well. In a world defined by heightened connectivity and immediate access, patients and providers alike expect medical care that is fit for the 21st century. And GlobalMed does its part to make that vision of better care a reality. Looking for Globalmed products? Contact us today at info@solutionzinc.com! Revolabs audio and unified communications equipment provides crystal clear audio in any environment. No matter how pretty your presentation or vital your message, it will get lost in the mix if it doesn’t get lodged in a listener’s ear. Fully exploit the world of sound with Revolabs’ innovations. Revolabs works to engineer audio solutions for every need. Whether you’re a teacher looking to raise your voice in a classroom full of unruly students or a doctor who must broadcast instructions to staff beyond the operating room, Revolabs has a range of audio options that carry voices to the places they need to go. 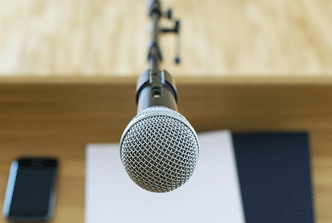 From conference phones to wireless microphone systems, Revolabs specializes in product design that allows users to remain mobile without sacrificing clarity. Which means wherever you need to be, Revolabs will be there to make sure you will be heard loud and clear. Looking for Revolabs products? Contact us today at info@solutionzinc.com! Sharp LED and LCD video conferencing displays bring your grand visions and great ideas to full, colorful life. Your message will be too bright and clear to ignore. Sharp has been a leader in the field of consumer electroncis for decades, and their name is synonymous with top notch HDTV sets, but Sharp’s reach also extends into the professional realm. Sharp is the leading brand of large format commercial LCD displays in the United States, and their line of Aquos Board models takes interactivity to a whole new level. Whether you’re in a boardroom or classroom, the vivid colors of Sharp’s huge touch screens can transform your ideas into beautiful visuals, and with remarkably responsive Aquos touch pens, several people can write on the same touch screen simultaneously. Multimedia collaboration has never been so easy--and it’s never been so pretty, either. Looking for Sharp products? Contact us today at info@solutionzinc.com! Settling on an appropriate A/V array is only half the battle. All that equipment is going to need a proper home, and any old desk won’t do. Bring the room together with furniture that looks good while it’s working. Formerly known as VFI, Audio Visual Furniture International was founded in 1996, and from the very beginning, they had one simple goal: to provide affordable and aesthetically pleasing furniture to the video conferencing market. They’ve grown a lot in the last twenty years, but Audio Visual Furniture International continues to produce all of their wooden wares at their manufacturing headquarters in Aurora, Ontario. Ever responsive to the shifting, expanding demands of the tech sphere, Audio Visual Furniture International has grown their product line to meet every imaginable need. 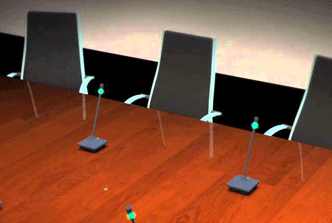 Video conferencing stands, tables, podiums, kiosks, credenzas--you name it, they make it. Looking for VFI products? Contact us today at info@solutionzinc.com! AMD designs and integrates technology that power millions of intelligent devices, including personal computers, consoles and cloud servers. AMD (Advanced Micro Devices) has a bold aim: to expand the limits of possibility with processing power that allows people to interact with technology in ways that feel natural and intuitive. It’s no easy feat, given the way technology rapidly evolves, but AMD keeps pace with the times with innovative graphics cards and microprocessors that find their way into personal computers, cloud servers, gaming consoles and more. Whether you’re looking for bigger images, brighter sounds or faster game play, AMD has devised a way to bring your grand visions to crisp and clear life. Don’t let your computer slow you down ever again. Looking for AMD products? Contact us today at info@solutionzinc.com! AMX ® by Harman provides businesses with best in class av integration equipment that solves the complexity of managing technology. AMX enables users to have reliable, consistent and scalable systems comprising control and automation, system-wide switching and A/V signal distribution, digital signage and technology management. ATTAIN PEAK PERFORMANCE AND SUSTAIN PRODUCTIVITY. Enzo is a flexible presentation system for all types of meeting rooms. With easy access to presentations, the internet, and more – collaboration has never been so easy. The HydraPort Architectural Connectivity A/V Table Box provides connectivity and power for all your devices while enhancing your collaboration experience. Don’t let the technology get in the way of your meetings – the AMX Modero Control Panel gives you a simple user interface to control all your collaboration technology. Extron Electronics is a leading manufacturer of professional AV integration products that make it possible for organizations of all sizes to begin collaborating in new ways through unified communications, collaboration, experience management, and networking technologies. Extron Electronics started small, in 1983, with a single product and a vision that went beyond simply selling AV components. Extron aimed to educate customers as well, and in the time since its founding, the company has committed itself to the twin goals of providing top notch products along with invaluable training in the latest tech developments. 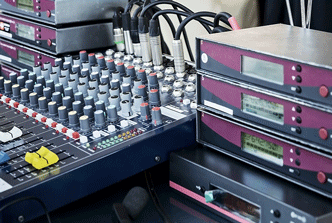 With over thirty years under its belt, Extron Electronics offers a staggering range of AV solutions, including computer-video interfaces, signal processing gear, high resolution cables, digital signal processors, amplifiers and much more. Where experience and quality meet, there you will find Extron. Looking for Extron products? Contact us today at info@solutionzinc.com! Avaya provides businesses with enterprise grade unified communications and collaboration equipment. Avaya ® makes it possible for organizations of all sizes to begin collaborating in new ways through unified communications, collaboration, experience management, and networking technologies. THE POWER OF WE Enable unified communications in virtual desktop infrastructure environments, eliminate desk phones and give users advanced communication capabilities with Avaya VDI Communicator. Avaya Scopia XT Telepresence Platform provides a cost-effective and highly flexible approach to video conferencing with the ability to meet the unique needs of each customer deployment. Avaya Scopia for Desktop is easy to deploy, use and helps you maintain continuity and lower expenses by delivering UC applications and services right to your desktop. Virtualize your unified communications while getting the same benefits as an on-premise solution with Avaya's Virtualized Environment. Don’t let your current network stop you from moving to unified communications. With Avaya Aura Communication Manager, adapt to SIP, H.323, digital, and analog. Deliver secure, carrier-grade unified communications with media and signaling encryption for all communications with Avaya's Application Server 5300. 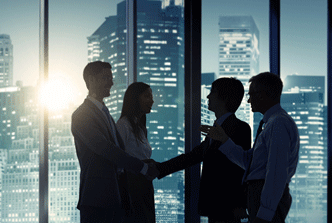 Masergy sells high-performance integrated IT solutions for global enterprises. As the largest independent Software Defined Platform, Masergy ® delivers patented technology, customizable solutions and unmatched customer experience to meet any need, no matter the size or complexity. ATTAIN PEAK PERFORMANCE. SUSTAIN PRODUCTIVITY. One size doesn't fit all. Masergy Global Cloud Networking delivers programmable hybrid networks custom fit to your specific business needs and application requirements. Go beyond traditional defense measures with Masergy Advanced Managed Security which helps you protect and prepare for inevitable security breaches. Don’t let technology get in the way. Masergy Cloud Unified Communication integrates with existing infrastructure to make collaboration simple. 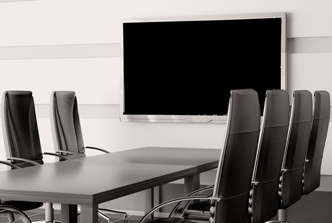 AVTEQ is the leading manufacturer of AV conference room furniture, AV carts and mounts. Furniture can too often be a drab afterthought in high-tech office spaces, but AVTEQ ® offers a range of furniture solutions that are not only functional but aesthetically pleasing. WHERE FORM AND FUNCTION COME TOGETHER TO MAKE ROOMS WORK. Presentation is everything. AVTEQ's portfolio of lecterns and podiums are well-designed multimedia solutions for any room – from boardrooms to classrooms. Available in cherry, blonde or mahogany finish, AVTEQ's table tops are a complete solution and bring a stylish look to any multimedia conference space. AVTEQ's telemedicine carts are the perfect solution for remote medical clinics or care facilities located in remote areas and rural towns. AVTEQ's TeamSpace products are unique, freestanding collaboration centers designed for huddle rooms, cubicle spaces and small offices. With AVTEQ's modern pedestal units you add clean, contemporary styling to your executive boardroom, small office, or collaboration or huddle space. AVTEQ's LCD and Plasma Carts are comprehensive and modular a/v furniture for both videoconferencing and telepresence environments. Crestron leads with the way with av integration equipment – where video comes to life and audio is crystal clear. Whether you need to control an AV presentation, video conference or update your digital signage, Crestron Electronics® will keep you connected and in control of your technology. Want to download the Crestron App? Need help with control systems or lighting and shade automation? Contact us today! BE PRESENT. STAY IN CONTROL. EVERYWHERE. ALL THE TIME. Make yourself heard and bring the sonic spectrum to bright and colorful life with audio solutions that deliver pro sound to any room. Save time and streamline space with control and automation systems that make it easy to become a multimedia expert. Crestron’s presentation solutions transform chaotic A/V arrangements into fully functional units that facilitate fast and easy collaboration. Crestron's UC Solutions incorporate video, voice, interactive content sharing, presence, and chat from one touch screen interface. 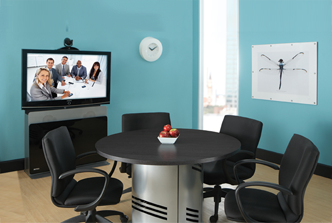 Crestron helps organizations increase efficiency and lower costs with video conference and media equipment. Crestron Mercury transforms your rooms into highly effective collaboration spaces with one easy to use, table top device. For over three decades, Cisco ® has worked to provide companies with industry-leading video conferencing and telepresence solutions necessary for simplifying communication in an increasingly interconnected world. Transform your meeting room into a multipurpose marvel that seamlessly integrates video solutions into the exchange of ideas. Turn the voice on the phone into a face on the screen with desk endpoints that bridge the distance between home and the workplace. Traveling light doesn’t mean you have to leave things behind. Access everyone on your team and everything in the cloud from any device at any time. Cisco Immersive TelePresence brings screens to loud and bright life with high-fidelity audio and video. Get ready for your close-up. SERVICES AND SOLUTIONS With Cisco WebEx, every team member is within arm’s reach, and communication, content sharing and collaboration is is at your fingertips. There’s no need to repeat yourself when you can seamlessly record and stream the best version of your training session, lecture or presentation. Unify communication across your organization with a reliable network that offers simple and secure access to even the most dispersed teams. Bring your desk phones up to speed and into the 21st century with instant messaging, high definition audio and cloud service accessibility. Customize your collaboration environment and improve the user experience with additional speakers, cameras, headsets and touch screens. Cisco’s MCU MSE Series brings simplicity and flexibility to the videoconferencing operations of larger organizations. Being big doesn’t have to be difficult. Guided by the belief that communication should be as accessible and easy-to-use as possible, Lifesize provides innovative video conferencing solutions that increase connectivity by keeping it simple. MAKE THE CONNECTION. MAKE IT LIFESIZE. Designed with speed and efficiency in mind, the Icon Series is an intuitive video conferencing solution that makes it nearly impossible to miss a meeting. It doesn’t matter where you’re working or what device you’re using--Lifesize Cloud is right there with you, and it has everything you’ll need to stay plugged in and productive. The Icon Flex is an affordable video system, designed specifically to work with small meeting spaces and the most popular video applications. Polycom video conferencing and telepresence solutions are easily integrated into your business and give you the flexibility you need. Unleash the power of collaboration through Polycom voice, video and content sharing products that will transform the way you do business. BE SEEN. BE HEARD. ANYTIME. ANYWHERE. 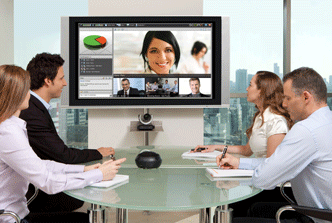 Bring virtual meetings to vivid life with just one click. No more dropped audio. No more picture glitches. No more excuses – just picture, perfect collaboration. The office can be anything and anywhere you want it to be. Stay connected, stay flexible, stay where you are. Far away never felt so close. Traveling light doesn’t mean you have to leave things behind. A smartphone or tablet is all you need to access everything you want. With HD video and HD audio, you can look and sound as sharp as you feel. It’s not the next best thing to being there. It is being there. SERVICES AND SOLUTIONS RealPresence Platform solutions provide the highest interoperability, scalability and reliability compared to any other infrastructure solution. Polycom and Plantronics have joined forces and are even better together! Shop the latest Plantronics headsets, headphones and audio solutions. Prime Call Cloud MeetMe delivers enterprise-grade video to those on the go. 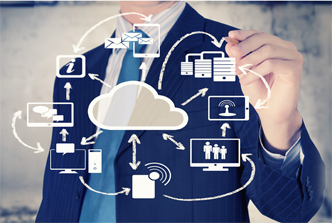 When everything is in the cloud, everyone is in the loop. RealPresence One unleashes the power of the RealPresence Platform combined with software endpoints and optimized services - all for a yearly subscription fee. Accelerate decision-making and drive meaningful conversations with the Group Series that has the flexibility to fit any size room, in any location. Avoid time-intensive distractions and the need for continual manual adjustment with Polycom's newest, affordable camera innovation, the EagleEye Producer. 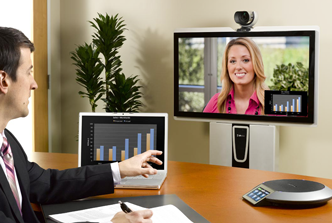 Want to check out more voice and video collaboration solutions.? Use our advanced search to find the products and services that meet your needs.